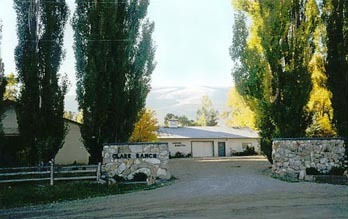 Welcome to Clark Equine Clinic. We are located in southeastern Idaho about 20 miles south of Burley, just outside the little town of Albion. Our practice was established in 1980 and is limited to equine medicine and surgery. We provide complete services including arthroscopic and laser surgery, endoscopy, digital thermal imaging, ultrasound, extracorporeal shock wave therapy, equine dentistry and complete lameness diagnosis. Our facilities include an in-clinic lab, a large indoor arena (for lameness exams, purchase exams and physical exams during winter months), hot walker, 50 indoor stalls, turnout pastures, an isolation barn and intensive care stall.